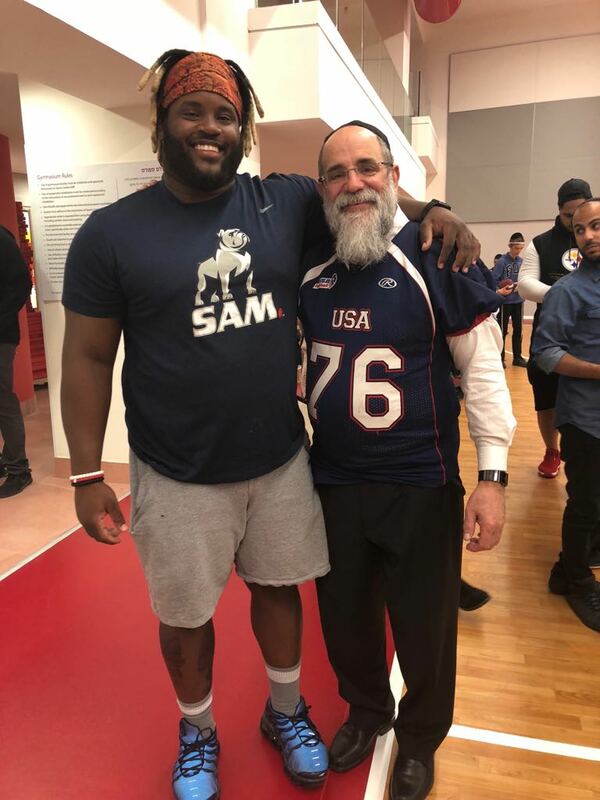 As part of their visit to Israel, some 30 NFL football players came to the Shalva National Center in Jerusalem, where they had a tour of the facilities and enjoyed a game of football with the children. 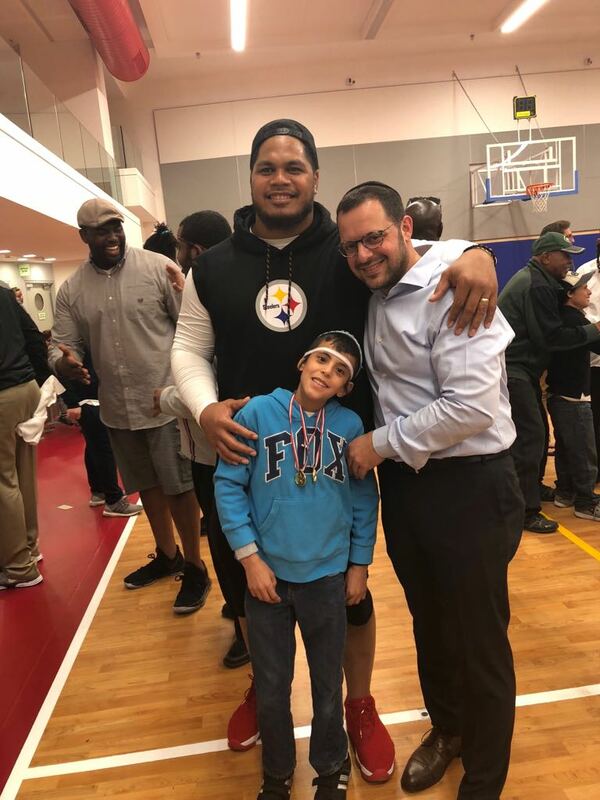 A group of football players from the NFL in America, came for a special visit to Shalva in Jerusalem. 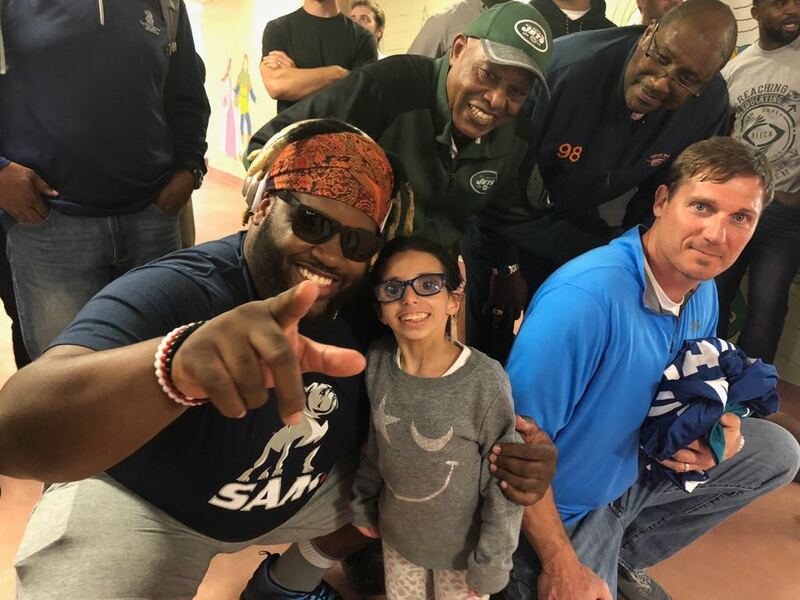 The delegation numbered around 30 leading football players, among them Tyson Alualu of the Pittsburgh Steelers, Don Carey of the Jacksonville Jaguars, Michael Pierce of the Baltimore Ravens, Miles Killebrew of the Detroit Lions, as well as former players, among them Warrick Dunn, who played for the Tampa Bay Buccaneers and the Atlanta Falcons, Tommie Harris of the Chicago Bears, and coach Jim Caldwell. 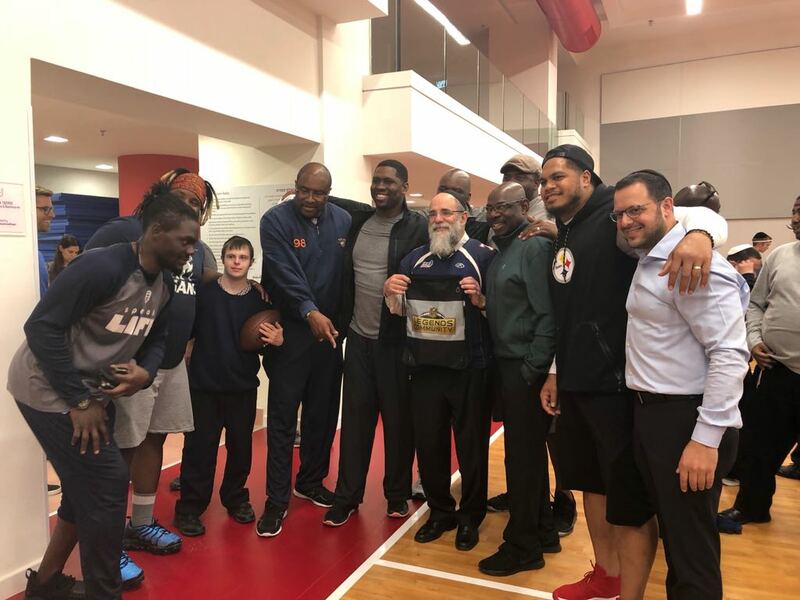 In the course of their visit, the group viewed the Shalva documentary video, toured the center’s facilities, and met with Yossi Samuels. 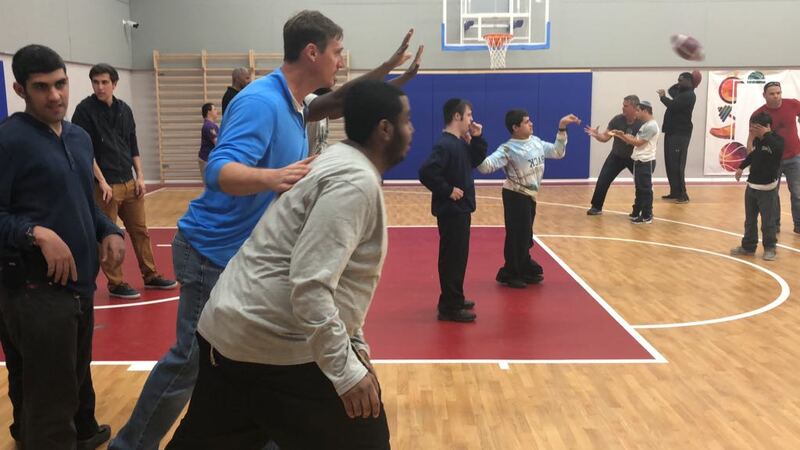 At the conclusion of the tour, the players had a friendly game of football with the center’s children, who had trained with representatives of the Israel football league in preparation for the NFL delegation’s visit. View video of visit HERE.